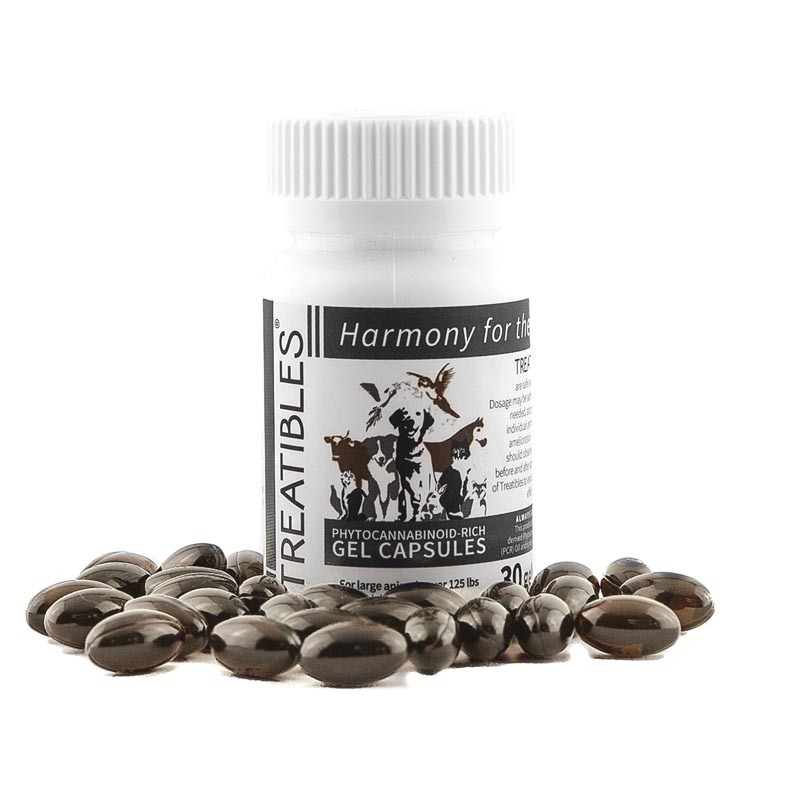 Treatibles capsules contain non-psychoactive Full Plant Hemp Oil sourced from our own organic hemp fields across four states. In addition to several therapeutic naturally occurring compounds, terpenes and flavonoids are included creating what is known as the entourage effect, providing a full spectrum of benefits for pets. Treatibles ensures the purest, most effective, non-psychoactive and non-toxic oil.